Home price growth slowed in the second half of 2018, with fewer buyers entering the market, at least partially due to rising interest rates issued by the Federal Reserve. If you bought your house in the last year or two, still love it and don’t want to part with it, go ahead and wait another five years before revisiting the thought of selling. But if you’re weighing your options to sell, considering selling this year or maybe the year after, don’t play the waiting game. 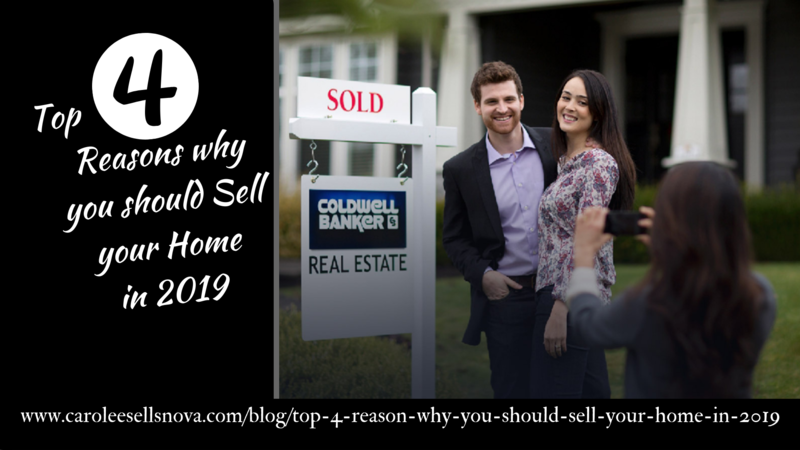 Here are four reasons to sell your house in 2019. 1. New buyers are still entering the market. As interest rates rise, some buyers will hesitate to make an offer on a home or apply for a mortgage, so be ready to see occasional drops in buyer activity. And if your house is at the higher end of the price range in your market, you should expect less buyer interest than before. Ron notes the combination of rising mortgage rates and home prices exceeding buyers' budgets are what has caused the slowing of home buyer activity in recent months. But with available housing inventory remaining low, even with rising interest rates, buyers who are ready to make a purchase will still shop for homes. 2. The biggest wave of new home buyers will be among millennials, who are mostly first-time buyers. In a Harris Poll survey of 2,000 U.S. adults commissioned by real estate information company Trulia, more than one-fifth of Americans between ages 18 and 34 said they plan to buy a home within the next 12 months. Already, millennials make up the largest share of homebuyers at 36 percent, according to the National Association of Realtors, which released the number in March 2018. The bottom line: While houses may sit on the market for a few more days on average compared with 2017 when the market was white-hot, buyers remain active and it’s still possible to profit from your home sale. 3. Interest rates are still low-ish. Mortgage interest rates are rising, reaching 4.87 percent in November for a 30-year, fixed-rate mortgage, per data from Freddie Mac. While rates are at their highest level since February 2011, they remain much lower than the historic high of more than 18 percent in 1981. It’s important to keep in mind that while mortgage rates tend to mirror the Fed’s interest rate activity, mortgage rates are based on the market in that moment, your financial status and the property you’re looking to purchase. 4. You have high equity. Homeowners who bought during the recession or shortly after benefited from historically low interest rates and, up until around 2015, lower home prices that were still in recovery mode. If you fall into that category, your home equity has risen with nearly every mortgage payment, each renovation you made to the house and all the other houses on the block that sold for a higher price. Whether you believe the recession is imminent or a long way off, current real estate patterns indicate a sudden upswing in activity or prices is unlikely in the near future. Real estate markets tend to operate on a cycle of their own, the length of which varies by market but can be between 10 and 16 years total and flow from a seller’s market to a buyer’s market with a period of balance in between. “It doesn’t look like there’s anything on the horizon that’s going to cause a big spike in home prices or increase demand dramatically,” Ron says.